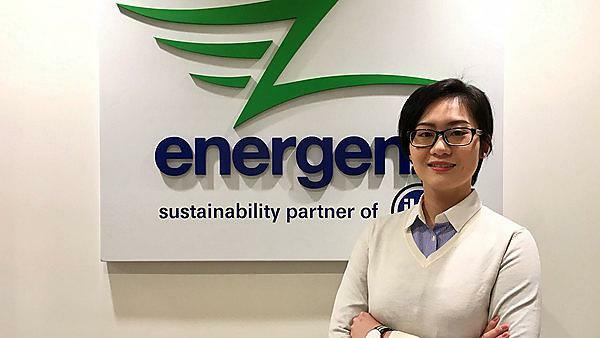 Hong Kong based environmental engineer and consultant Tania tells us about her career and how environmental scientists can strive to make a change. Tell us about your career path since graduation? I went back to China, and soon joined the Environmental Impact Assessment Department of an environmental industry leader (previous employer) in the city of Guangzhou. After three years of working in the company as an environmental consultant/engineer (I became senior environmental consult and team leader entering Year 3), I quit and enrolled myself in a master’s programme offered by the Hong Kong University of Science and Technology, the Engineering Enterprise Management Program, studying innovative and state-of-the-art tools for entrepreneur managements. It has, I guess. I still want to work in the environmental/energy industry since I have always been driven by the mission of providing innovative, sustainable and socially responsible technical solutions to enterprises while optimizing their profitability. But I want more project management and company operation experience as a manager, not just as a front-end consultant/engineer, and that was originally why I went back to university for a second master’s degree. I think the transition from the environmental industrial practice in the UK to the practice in China and Hong Kong is the most difficult thing. Fortunately, the skill-set and the experience I have obtained and accumulated from my days at Plymouth are all transferable. And therefore I would not say that it was a struggle, rather, it was quite challenging and a fun experience and I think I have become a more sophisticated, meticulous and worthwhile employee with a diversified skill-set since I overcame that transition. For this particular reason, I am thankful that I undertook that transition. Leading an Environmental Impact Assessment project for strategic planning in a complex district. It allowed me to communicate with many experts/leading scholars in town and transportation planning and environmental assessment and monitoring. Meetings and the consultation process were an active learning experience and great opportunity for rapid personal development. One could actually gain niche skills through the process. What, if anything, would you do differently if you could? If possible, I might want to gain at least a year of experience in the UK environmental industry. There is always a need to apply what you learn from the course, but I only had a three-month industrial internship experience in a UK company, not a full-time work experience. Suggestion: don’t hesitate to ask questions, take the first step and voice your message. Also, always strive to be a leader, but first, make sure you are already a good team member with good listening skills. The programme (MSc) I enrolled on at Plymouth was logically and practically designed and brought together theoretical teaching and practical training. The programme offered many opportunities for students to be highly involved/engaged in industrial practice, either by communicating with people directly coming from different sectors of the industry or through the industrial internship experience. Students on our programme had good ideas of what they wanted to do and how they could do it before graduation, which I think is a high achievement for a master course. Field and lab work, either arranged by the course or for my individual projects. I am a person who loves to apply theories in reality and have the theories tested. I also enjoy active and interactive learning, and field and lab work allowed me to do both, and also allows me to communicate efficiently with my colleagues. Yes, I am still connected with my previous course leader, my project supervisors, and some of my course mates. Yes, especially in the science faculty. I think Plymouth University has a strong teaching team (also a lot of visiting professors) to ensure the positive collision of minds and good thoughts. And the facilities offered by the University are of high quality. The course design and quality is constantly improved by the evaluation system, and the academic standards are guarded by high standards of work and emphasis on academic ethics. Is there anything else which you would like to share with our current students? Think more, reach out and make a change. Especially if you are a science and engineering student, you have to keep up with the constantly developing world of science and technology. I always remember the first class of ‘Earth system’ of my first year at Plymouth, my lecturer Dr Mike Foulkes said to us, “Welcome all, my fellow environmental scientists…”, since then, this identification has pushed me to think critically for an optimal solution and to communicate solutions with others to make sure they work in the real world. There isn't a universal solution, that is why our future has infinite possibility, and that is why your thoughts and voice matter. For more information about studying environmental science and consultancy, visit our BSc (Hons) Environmental Science and MSc Environmental Consultancy pages. For more information about our range of courses within the School of Geography, Earth and Environmental Sciences, please visit the school page. If you would like to find out what other relevant alumni are currently doing, please visit the marine, earth, geography and environment interest area. "Buy a decent pair of walking boots that won't leak!"